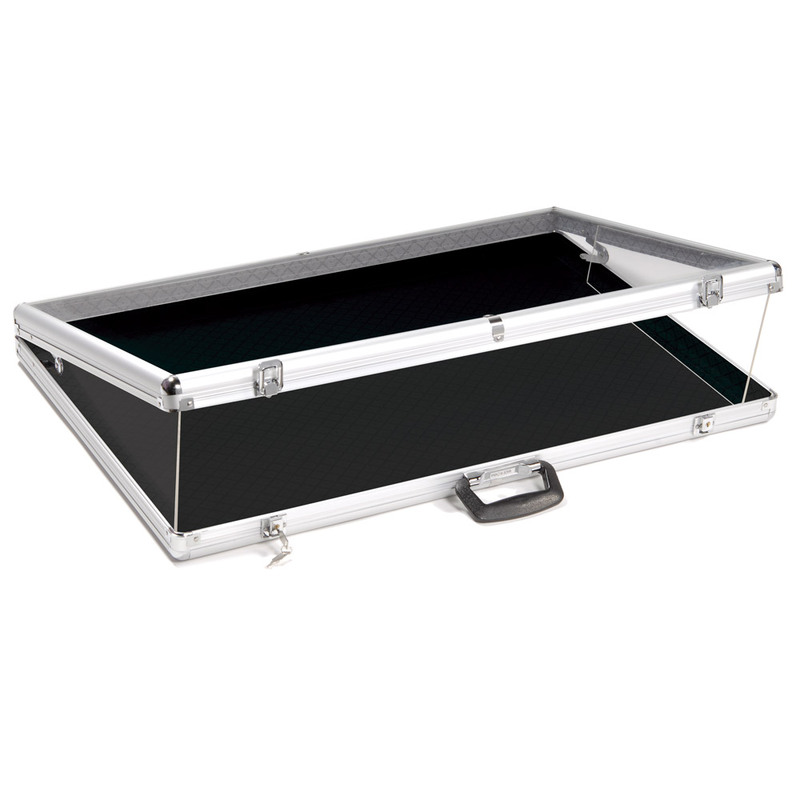 Super sized portable showcase is perfect to display jewelry, collectables and more. 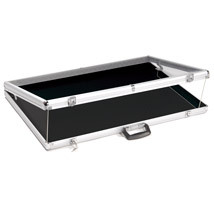 Our new larger model of our popular locking portable display case! Sell even more valuable items either in your store or at craft fairs, collector`s shows or on the road. Also ideal for securing theft-prone loose items in showcases or on your counter. Features black velvet lined bottom. Complete with 2 keys and 2 acrylic side panels to further prevent theft.